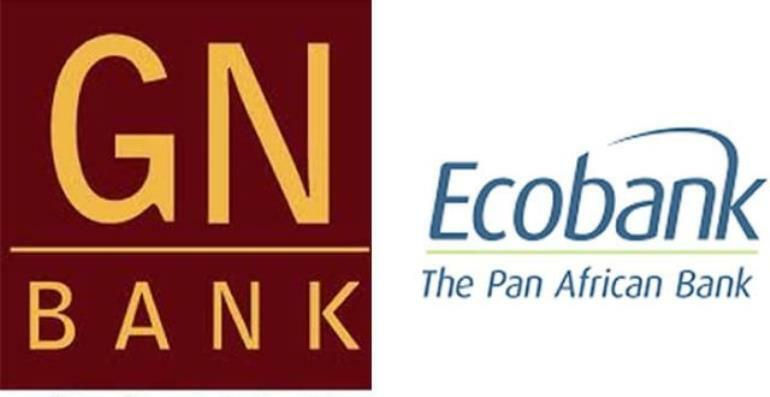 Ecobank Ghana and GN Savings have officially entered a mutually beneficial agreement between the two financial institutions to improve services they provide. In a statement to confirm the deal, the agreement is said to have been signed on Friday, March 29, 2019, at the offices of GN Savings and will see the two institutions work together in areas that will be beneficial to both entities. According to reports, the agreement became necessary due to the reclassification of GN Bank as a Savings and Loans company, now called GN Savings. Giving an address at a short ceremony to finalize the deal, Chief Executive Officer (CEO) for GN Savings, Mr. Issah Adam indicated that the firm is hopeful the new partnership will give their clients confidence to continue doing business with them. “With this partnership signed, we urge our clients and the Ghanaian banking public to continue doing business with us”, he said. On his part, Dr. Edward Nartey Botchway, Executive Director of Finance Ecobank Ghana and CFO Anglophone West Africa said, “we at Ecobank are happy with the opportunity to provide banking services to GN Savings. The reclassification of GN Bank to GN Savings has resulted in the need for a Banking partner for GN Savings & Loans. Present at the ceremony were; the Chairman of GN Savings Dr. Papa Kwesi Nduom, Dr Nana Kweku Nduom, Vice President, Groupe Nduom, Mr. Robert Danso Boakye, COO for GN Savings, Mr. Alfred Sakyi, Ecobank Head of Commercial Banking, Ghana and Anglophone West Africa, Madam Adobea Addo, Ecobank Head of Branch Network, Mr. Kingsley Adofo-Addo, Ecobank Head of SME, Mrs. Kelda Ofedie Ocansey, Ecobank Relationship Manager for Non-Bank Financial Institutions.